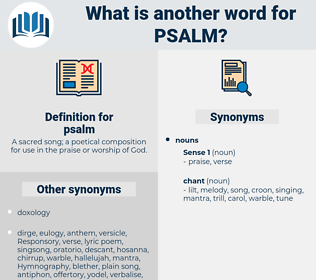 What is another word for psalm? After we had advanced about a hundred yards, my meditation was unexpectedly and most agreeably interrupted, by the friends who attended beginning to sing a funeral psalm. As David also sang in the twenty - third Psalm: 'The Lord is my Shepherd, I shall not want. 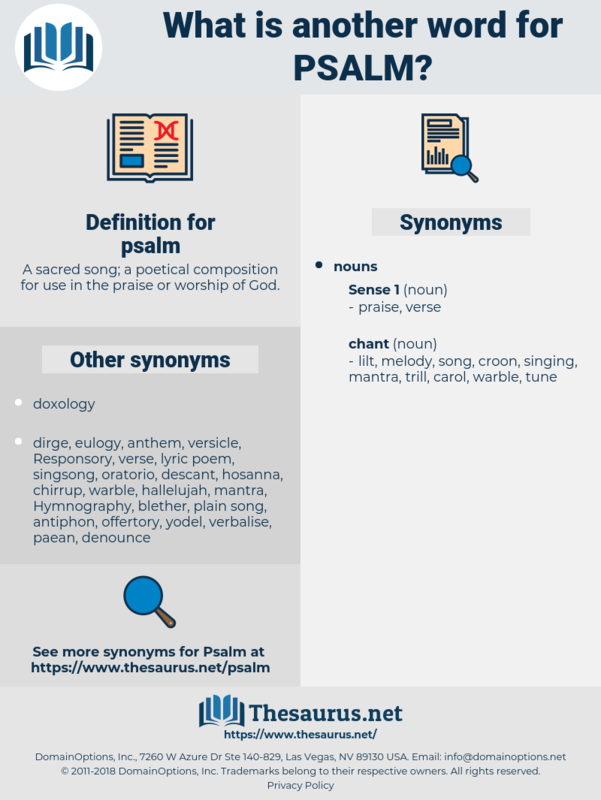 religious writing, sacred writing, religious text, sacred text.